The Most Holy Trinity is a mystery. 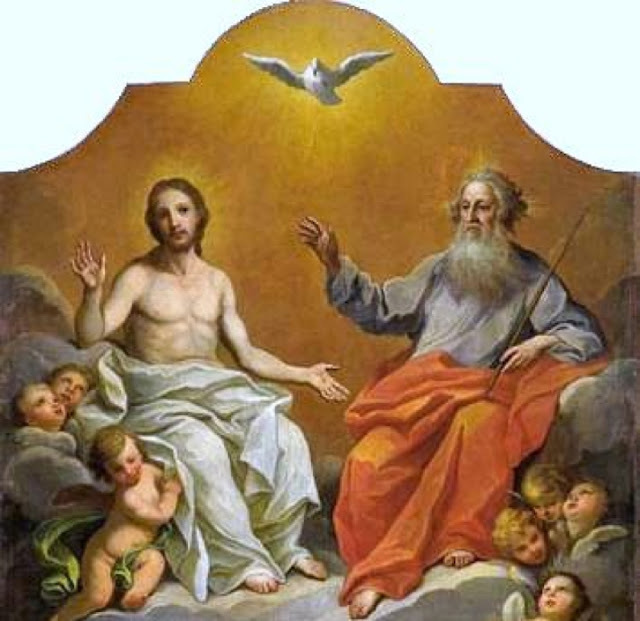 We cannot possibly come near to understanding it completely but we do know some things: God the Father, God the Son and God the Holy Spirit are madly in love with each other ­­ three Divine Persons but One God. God wants to share this love with each and every one of us. It is God who revealed this to us at the Baptism of Jesus when God the Father's voice was heard and the Holy Spirit descended upon Jesus in the bodily form of a dove. While the word "trinity" is not in the Bible, our Church teaches us that God is indeed triune: Three in One – the Holy Trinity. In the Holy Trinity is no subordination. All are equal. The Father is not number one, Jesus number two and the Holy Spirit number 3. However, a key to understanding the Holy Trinity is that the Holy Trinity is about relationship: Fathers and sons have relationships, which is why God reveals Himself this way. Its like if someone is a male, he can be a father and a son and a brother all at the same time. The difference comes in how he relates to others as a father, son or brother – nevertheless he is still the same person. The Holy Spirit is the love between the Father and the Son and again we are invited to partake in this relationship. St Elizabeth of the Trinity, OCD experienced the indwelling of the Holy Trinity inside her. Her writings are quite sublime: in other words, there ARE no words to sufficiently describe such an Indwelling. Suffice it to say that God is love and what we experience here on earth is just a mere introduction of the love we will be part of ­­ in Heaven.